•	Look for the email sign up that this company makes available free of charge to get immediate access to special offers and deals that usually will not be shared anywhere else. By signing up for the free email newsletter program from Best Cigar Prices members will be able to save on every purchase, get exclusive updates about upcoming merchandise only and have the chance to purchase products before anyone else during presale events. •	All of the products available directly from Best Cigar Prices are going to have been significantly discounted already. You can expect prices to be discounted by at least 20% on all site wide merchandise. •	Check of the DEALS and BUNDLES section of the Best Cigar Prices website to find special offers good for up to 40% or more off. 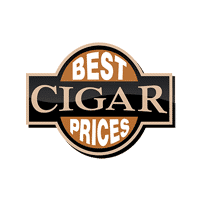 Best Cigar Prices features cigars, humidors, accessories, and much more. You can find all of the top brands, including Acid Cigars, Arturo Fuente Cigars, Baccarat Cigars, Padron Cigars, and many more. Backwoods, Nub, and Isla Del Sol are a few more brands currently offered. Spend 150.00 or more, and you can qualify for a free Perdomo 5-pack. You can check out sampler packs, machine-made cigars, rare cigars, rated cigars, and others. Travel humidors, small desktop humidors, medium desktop humidors, large humidors, and commercial humidors are also available, in addition to 1-7 torch lighters, single cut cutters, and more. Bulk discounts, add-on deals, and free shipping are offered. For most up to date offers check out Best Cigar Prices on Facebook and Twitter or contact Best Cigar Prices Support for any questions.